Home > Used Vehicles > Ford > Edge > 2011 > 2011 Ford Edge LIMITED AWD - LOADED! LEATHER! 2011 Ford Edge LIMITED AWD - LOADED! LEATHER! Ford Edge Limited AWD, finished in gorgeous White Suede! Equipped with the Limited package, including: 285 horsepower 3.5L V6 engine, 6-speed automatic transmission, satellite navigation, heated leather interior, air conditioning, power windows/door locks/mirrors/seats/moonroof, tilt & telescoping leather-wrapped steering wheel, cruise control, audio controls on steering wheel, Bluetooth, AM/FM CD audio system, and much more. 3.5L TI-VCT V6 ENGINE - V6 cyl. 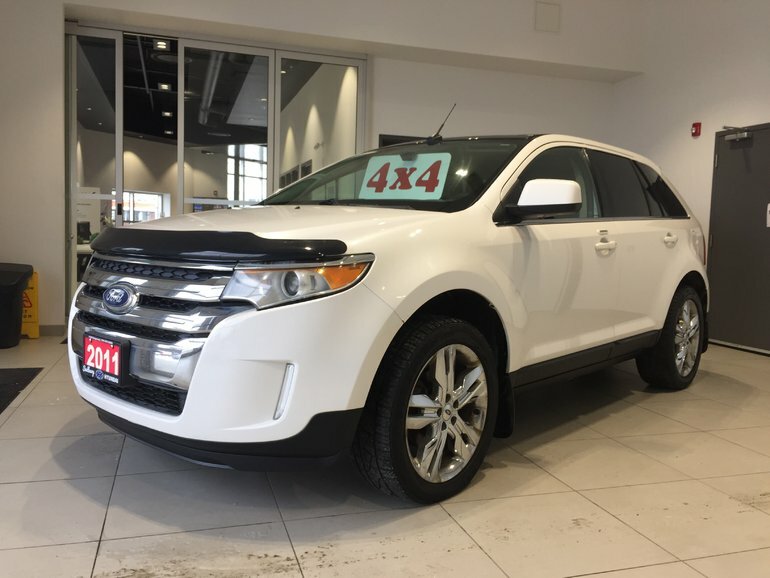 Interested in the 2011 Ford Edge LIMITED AWD - LOADED! LEATHER! PANORAMIC MOONROOF! HEATED LEATHER! ?